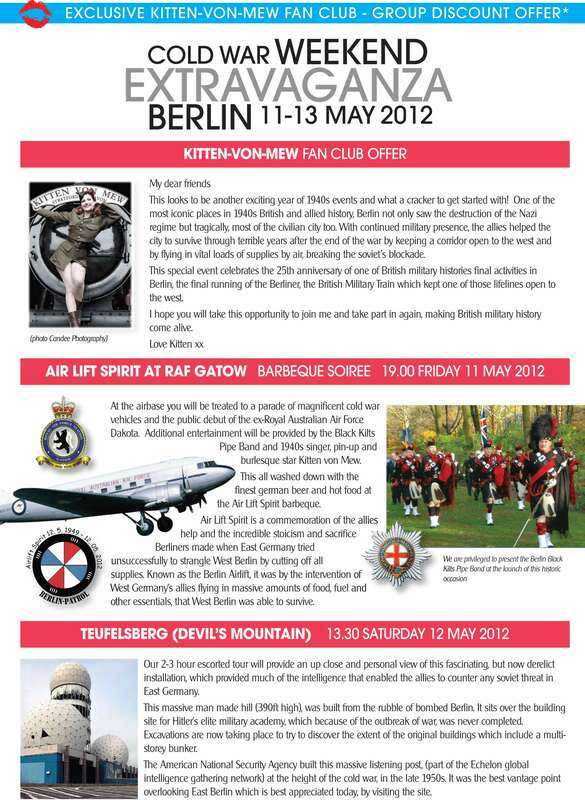 TRAIN OF EVENTS SPECIAL OFFER FOR KITTEN VON MEW FANS! 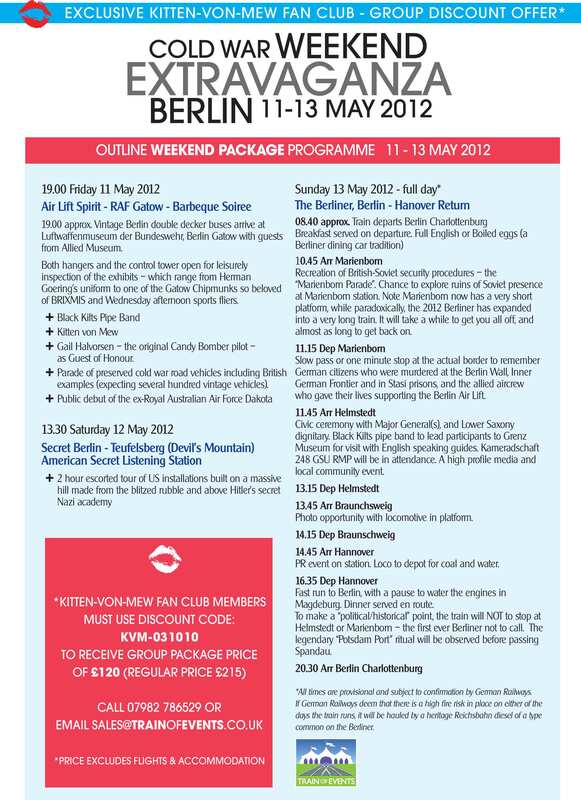 The wonderful people at Train of Events have created a special offer for my fabulous followers for The Berliner trip! 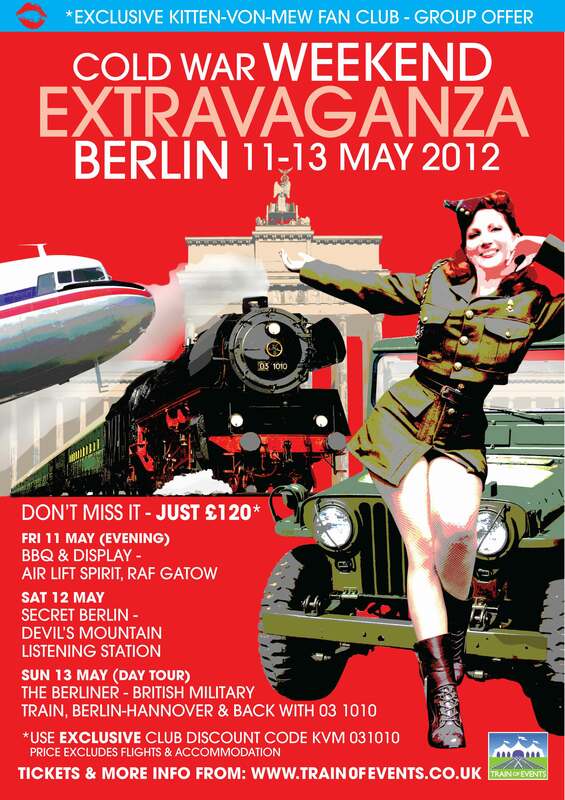 12th May – An excursion to Devil’s Mountain on the Saturday (A 390ft hill made of the rubble from the Berlin Blitz, which was dumped on top of the partially built Hitlers Elite Academy and multi storey bunker). On top of the hill sits the abandoned remains of the American National Security Agency Listening Post and a great view of East Berlin. 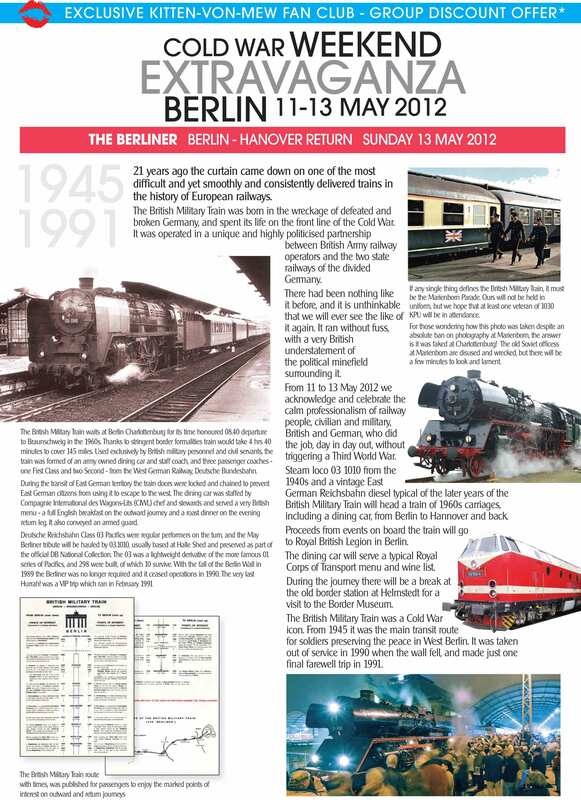 13th May – Sunday on The Berliner military steam train with breakfast, recreation of the Marienborn Parade at Marienborn Station and a high profile media event with Major Generals and Lower Saxony at the Grenz Museum! This would usually cost £215, but you my dears will get to do it all for only £120!!! The price excludes hotels and flights, but there are cheap flights that we came across for under £100 return and if you don’t fancy a hotel, there will be camping available at RAF Gatow with other reenactors and displays! 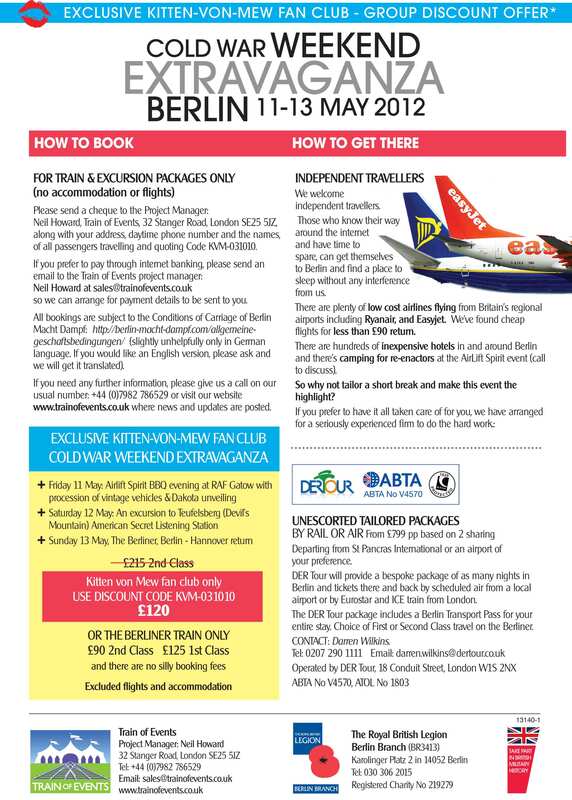 If you are interested in camping then please contact Train of Events to discuss on 07982 786 529. Below you will find more information about this amazing trip. It will be lovely to see you all there and some historical photo opportunities too! Posted in Events and Performances, Publicity and Media Announcements and tagged airlift spirit, berlin events, berlin holidays, berlin trips, berliner train, cold war trains, cold war weekend, devils mountain, kitten von mew, kitty meow, raf gatow, steam train holidays, steam train journeys, steam train trips, the berliner, train events, train of events, ww2 trips, wwii tours. Bookmark the permalink.